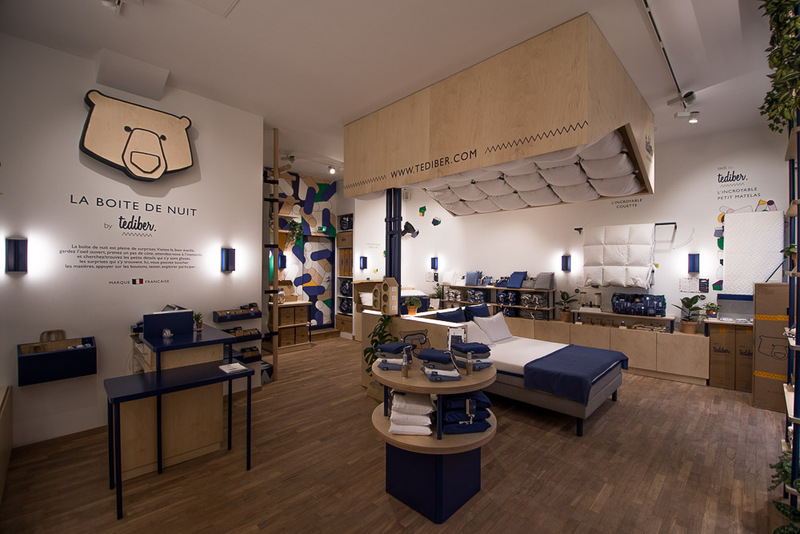 Tediber, founded by Julien Sylvain, is a company whose particularity is to sell on the Internet an object whose marketing was until now the exclusive preserve of “permanent” shops: the mattress. 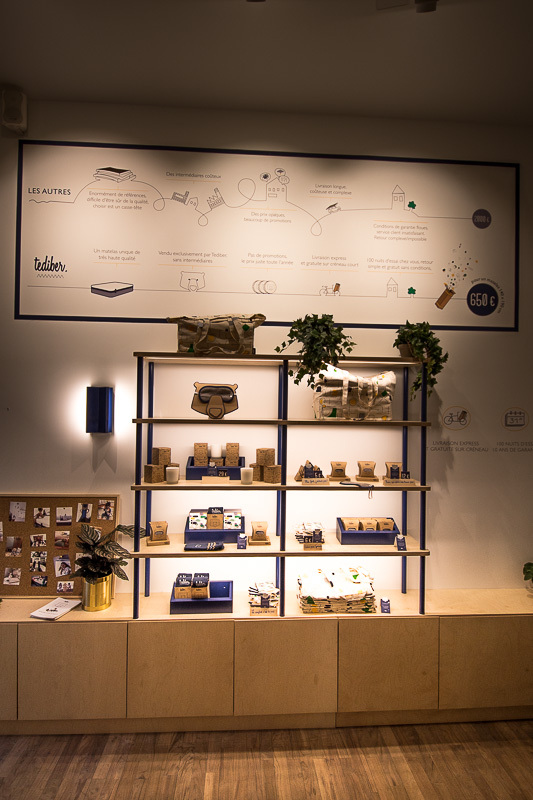 A native digital actor, Tediber has just opened a brick-and-mortar store in the Marais district of Paris (13 rue Sainte-Croix-de-la-Bretonnerie), a turning point in his strategy as an online “pure player” that encourages us to dedicate this article to it. Tediber is a company based on the DNVB (Digital Native Vertical Brand) model, that is to say, a digital business model that practises vertical integration. From design to production to delivery to the customer, everything is managed by the company. This business model has already been adopted by other start-ups such as Le Slip Français, Bergamote and by larger companies such as Daregal or Swatch (hyperlinks will take you directly to the articles we have devoted to their vertical integration). Design and development are done “in-house”. Tediber is the French leader in “Bed in Box” and follows the model of the American companies that had already launched themselves into this area of the market. Its philosophy is based on the principle that the customer seeks to simplify his choices (a single mattress) and that savings can be achieved by eliminating intermediaries. The mattress model is, therefore, unique and available in several sizes, available only on the Internet, delivered quickly and with a trial period of 100 nights. Other products such as pillows, duvets, children’s mattresses and bed frames have now been part of the range for 2 years and extend the customer experience. 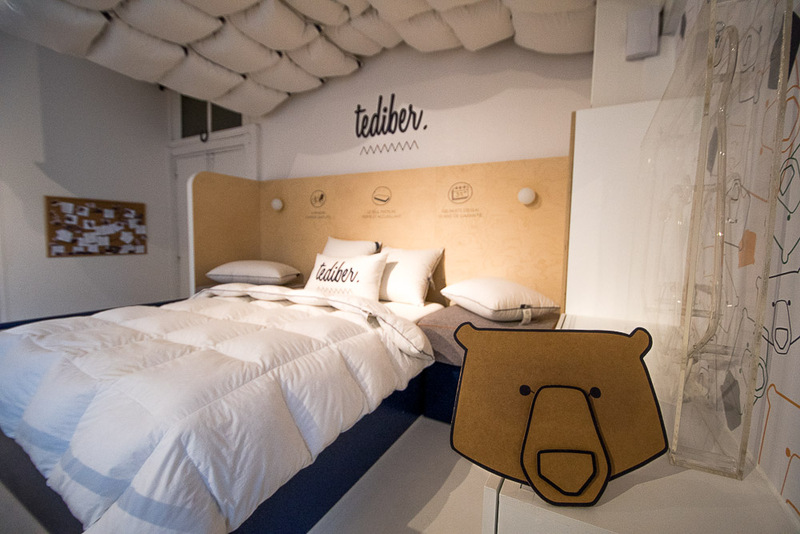 Tediber capitalises on distinctive customer experience and has opened a showroom (accessible 6 days a week) in its own offices. Several customers are welcomed every day by a different person from the team, which allows each collaborator to develop a sensitivity to products and customer expectations. It is a pragmatic way of conveying customer feedback upwards and integrating it into product design. Because Tediber’s belief is to start from customer needs to develop its products. The pillow is a good example. It was during a full-scale test with 400 customers that an ideal product was designed. Its comfort has been improved by adding 10% more down than the traditional “recipes” of the manufacturers. With a return rate of 2%, this is indeed a product that satisfies customers. 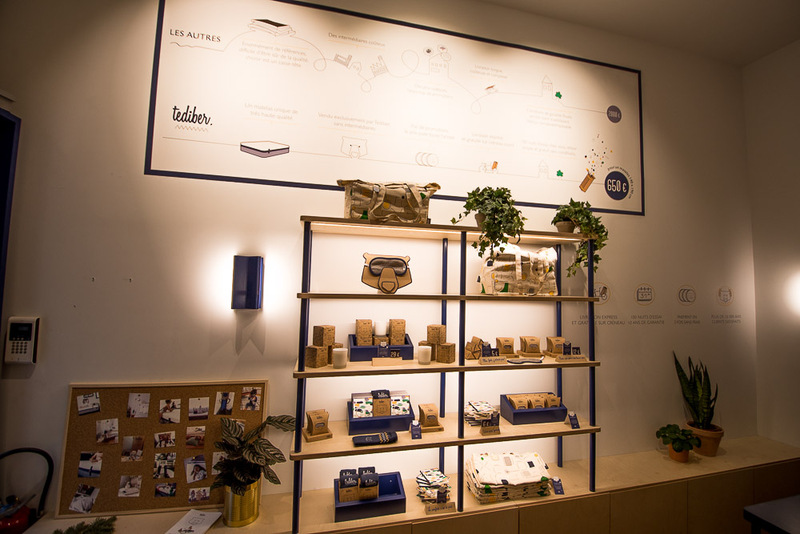 Before creating Tediber, Julien Sylvain had launched Leaf Supply, when he graduated from business school. The latter marketed a camp bed for the humanitarian sector. This experience allowed him to become aware of the issues of comfort and the concept of the innovative bed. A second experience in e-commerce, for underwear, and the vision that in the US the mattress market on the internet was developing, finally convinced him that a market existed for the sale of mattresses online and he launched Tediber. About 6 months after the launch, Julien Sylvain teamed up with Aude du Colombier (former marketing director of Google France). The financing was first made through the sale of the previous company and a €1 million raising from 360 Capital Partners, a fund that had already invested in the last company. During our interview, Julien explained to us, in a very pragmatic way, how he had carried out his market research. By visiting bedding shops, he first learned to understand the dynamics of the retailers and the market. It also gave him the opportunity to meet customers and conduct exit interviews with them to fully understand their needs and sources of dissatisfaction (“customer pains”). The method used here is similar to participatory ethnography, in which the researcher immerses himself in a given context to understand its ins and outs. Customers in the renewal phase who wish to buy the mattress of their dreams. For them, disappointment often comes at the end of their research because they do not always understand the diversity of the offers, which leads them in 50% of cases to prefer a default offer such as Ikea, But or Conforama. One of the essential conclusions was therefore that trust in the brand is a driving force for purchasing. Building a strong brand was an absolute must. 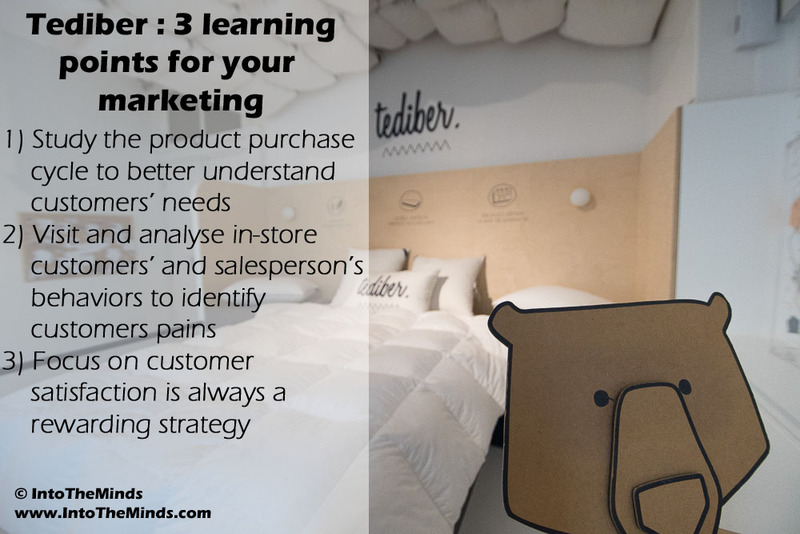 The market research conducted for Tediber reveals not only two types of purchaser profiles, but also a sales cycle that depends on specific events in the customer’s life (which can give you potential indications about lead sources). Thus, customers looking for mattresses only buy at well-established times, such as moving house or getting married, for example. As in many B2C markets, the first point of contention in the event of dissatisfaction is the handling of the product return. Customer service of 6 people has been set up to be able to keep the promises of the emerging brand and to ensure the return of a product as specific as a mattress. This service is in contact with its own transport operators in Paris. The recovery of the mattress is made at the customer’s premises within a very short period. Invested in IT: an in-house ERP has been developed to interface with the various transporters. The choice was also made to have the best transport companies. Julien Sylvain told us that he wanted to continue to develop the brand and expand the range (bed linen will be launched in January 2019). In addition to the opening of the store, the brand’s development will involve controlled geographical expansion and the consolidation of the foreign markets currently served. Tediber has already launched its offer in Spain and Italy a little over a year ago. The choice of these 2 countries was made on the basis that they used mattresses very similar to the type used in France. However, some difficulties in developing these markets are due, firstly, to the lower cost of living in these countries when a mattress is sold at the same price as a mattress in France and, secondly, to the challenges posed by the return of products from these countries.